by Nona McGreal, O.P. (Sinsinawa) for Project O.P.U.S. Men and women of the Order of Preachers, the Dominicans, have been on mission in the United States for more than two centuries. The mission given them by Dominic de Guzman (1170-1221) from the founding of the Order, is to proclaim the Word of God by preaching, teaching and example, while sustained by life in common. Dominican spirituality is centered in the Word of God. The creative Word of God has been proclaimed by such members as Thomas Aquinas and Meister Eickhart. The incarnate Word has been proclaimed by Catherine of Siena and all who contemplate and preach the mystery of Jesus Christ. The revealed Word has engaged those who have studied and taught theology and Scripture in every century. The single mission of the Order of Preachers embraces many ministries, developed as needed to bring the Word of God to persons in varying societies and circumstances. St. Dominic had this in mind when he urged the first members to identify with each culture through the use of the vernacular languages. For the same purpose he asked the preachers to meet all people as mendicants, ready to exchange gifts and necessities with others in the spirit of Jesus and the apostles. Dominicans in the United States continue their ministries of preaching and teaching for changing or lasting needs. They have also assumed ministries newly related to the proclamation of the Word, such as electronic communications, and others urgently required by the needs of people for life, justice, and peace. The twofold motto of the Order continues to be Veritas, in a world hungering for truth; and Caritas, the equally urgent need for human compassion and mercy. The Order of Preachers is composed of men and women of four branches: friars, who may be priests or brothers; cloistered nuns; sisters; and laity. Dominic de Guzman was called to ministry in the universal Church. His followers have proclaimed the Gospel around the world to peoples never known to the founder, including those of the Americas. Three centuries after the death of St. Dominic in 1221 the first Dominicans landed on the Atlantic coast with Spanish colonists, arriving in 1526 near the current site of Georgetown, South Carolina. 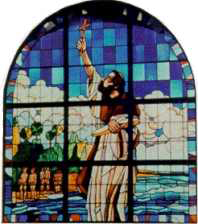 Among them was the friar whose vehement protests against the conquerors’ oppression of the native peoples has been acclaimed as the first voice for liberty raised in the New World. When the intended colony failed, Antonio de Montesinos returned to his prophetic preaching in the Caribbean. However, other Dominicans followed him into the southern region of the present United States. These included Fray Luis de Cancer, O.P. who was martyred in Florida and the men who accompanied Hernandez De Soto and other explorers into regions along the Gulf coast. Friars of Mexico, which then extended north beyond the Rio Grande, evangelized the natives of the present Texas, some losing their lives in that endeavor. After them, nearly two centuries intervened before the Preachers came to stay. The continuing presence of Dominicans in the United States began in 1786. A friar of the Irish province, John O’Connell, was assigned to New York, the nation’s temporary capital, to serve primarily as chaplain at the Spanish legation. Following O’Connell more than twenty friars, the majority from Ireland, were sent as missionaries to the new nation. Of these the first twelve served with Bishop John Carroll in the vast Diocese of Baltimore, then the only one in the United States. One of the Preachers on mission with John Carroll was Francis Antoninus Fleming, the bishop’s vicar general for the Northern District, which extended from New York to Maine. Fleming, like several of his confreres, met death while caring for victims of yellow fever. Among the other friars were William O’Brien, pastor of New York’s first parish, St. Peter’s on Barclay Street; Anthony Caffrey, founder of St. Patrick’s, the first parish in Washington, D.C; and John Ceslas Fenwick, an American of the English Province, who lived and labored with the Jesuits in southern Maryland. When the single See of Baltimore was divided in 1808 to form five dioceses, one of these, New York, was given as its first bishop the Irish Dominican, Luke Concanen. After his ordination in Rome his passage to the United States was delayed so long by Napoleon’s embargo on ships leaving Italy that death overtook him before he could leave. A second Irish friar, John Connolly, was then appointed bishop of New York (1808 – 1825). The initial move toward founding a Dominican province in the United States was made by Edward Dominic Fenwick, O.P., an American descendant of early Maryland colonists. Fenwick entered the Order of Preachers of the English province in 1788, after completing his studies at the Dominican college of Holy Cross in Belgium. While serving for ten years in the English province he dreamed of establishing an American province of the Order in his native Maryland. The dream was realized finally by Fenwick and three English friars, with the support of Dominican superiors in Rome and the encouragement of Bishop John Carroll. However, Carroll requested that the province be founded far from Maryland, out in frontier Kentucky, where the first westward-moving Catholics were begging for priests. The Dominican Province of St. Joseph was established in 1806 at St. Rose, Kentucky, near Bardstown. In 1811 the Dominicans welcomed to the ecclesiastical outpost of Kentucky the first bishop on the western frontier, Benedict Joseph Flaget. In his Bardstown diocese the friars served as itinerant preachers, instructors in their college of St. Thomas Aquinas, and pastors of the earliest parishes formed in the wilderness. The people responded favorably to their pastoral ministry, finding their practices more acceptable than the rigorous ones of the veteran French missionary Stephen Theodore Badin and his Belgian co-worker Charles Nerinckx. As itinerant missionaries the friars traveled widely among the settlers in Kentucky; then Edward Fenwick ventured north across the Ohio River into the forests and wilderness of Ohio. There in 1818 he and his Dominican nephew, Nicholas D. Young, built the first Catholic church in the state, a log cabin at Somerset dedicated to St. Joseph. Three years later Fenwick was named the first Bishop of Cincinnati (1821-1832) and given the spiritual care of Catholics in the whole region of present-day Ohio, Michigan, and Wisconsin. In the beginning the only priests in the diocese were his Dominican brothers, who led the people to form the earliest parishes and build the first churches in Ohio. While launching the foundation of the friars in the United States Edward Fenwick hoped to have American sisters to share in their mission. This hope was realized in 1822 when nine young women, answering the call of the provincial Samuel Thomas Wilson, became the first American Dominican Sisters, known today as the Congregation of St. Catharine of Siena. The founding members began their common life in a crowded log cabin near Cartwright Creek and their ministry in a school opened in a still house. Angela Sansbury, of one of the pioneer families from Maryland, was the first to make her religious profession. She was elected to lead the community as prioress and deserved the title of foundress of Dominican Sisters in the United States. At the call of Bishop Fenwick, four of the Kentucky sisters were sent to Ohio in 1830 to establish the community and academy of St. Mary’s in the settlement at Somerset. There, as in Kentucky, they shared in the Dominican mission as teachers. As Fenwick noted they undertook “the role of missionary among us.” Following a disastrous fire the community and academy moved in 1868 to Columbus, Ohio, where they assumed the title, St. Mary of the Springs. Dominican preachers were called south to Tennessee, which had few Catholics and no priest, with the appointment in 1837 of the first Catholic bishop of Nashville. He was Richard Pius Miles, a native of Kentucky, who welcomed to the diocese several friars from Kentucky and Ohio, with whom he had served as missionary and provincial. Among them were Joseph Alemany, who would later become the first archbishop of San Francisco; and Thomas Lanadon Grace, who was subsequently named the bishop of St. Paul. In 1846 Dominican Sisters were sent from both Kentucky and Ohio to Memphis, to form a new community and academy of St. Agnes in collaboration with the friars of St. Peter’s parish. Less than three decades later, friars and sisters alike gave their lives in caring for victims of the yellow fever epidemic. In 1860 the Ohio sisters of St. Mary’s sent four members to the cathedral city of Nashville, Tennessee, at the request of the second Bishop of Nashville, James Whelan, O.P. These sisters founded the Congregation and Academy of St. Cecilia. During the Civil War they found themselves on the Tennessee battlefront, and later sent volunteers to Memphis to nurse the victims of the Yellow Fever, for whom some gave their lives. The ministry of the Order of Preachers to Indians, fur traders and pioneer Americans of Michigan and Wisconsin was initiated by their bishop, Edward Fenwick, in the territory once evangelized by the French Jesuits. In 1830 he assigned the newly ordained Samuel Mazzuchelli to the missions of the old Northwest, then in the Territory of Michigan. Subsequently the Italian-American missionary became the first Dominican to serve the Church in the new dioceses of St. Louis, Detroit, Dubuque, Milwaukee and Chicago. In 1844 he initiated at Sinsinawa Mound, Wisconsin the third collaborative foundation of Dominican friars and sisters: a province of the friars which was short-lived, and in 1847 the Sinsinawa Dominican Sisters. The Cause of Samuel Mazzuchelli, the first American Dominican missionary proposed for canonization, was advanced in 1993 when he was named Venerable by the Holy See. The fourth collaborative mission of Dominican men and women in the United States was initiated in California in 1850 by Dominican friars and sisters who accompanied Joseph Alemany to his bishopric in Monterey. There Alemany and Sadoc Vilarrasa, a fellow Spanish missionary who had been serving with him in Ohio, founded the friars’ Province of the Holy Name. At the same time Alemany’s hope for sisters was fulfilled by Mary Goemaere, a Dominican from Paris, with Aloysia O’Neill and Frances Stafford from St. Mary’s, Somerset. These founded the community that became the Congregation of Holy Name of San Rafael. Little is known about the first lay Dominicans in the United States. Among their sparse records from the early nineteenth century is that of the reception of one Betsy Wells by the Dominican friars at St. Rose in 1826. Another, in 1829, records the reception of two men, George Shock and John Roi, into the Third Order. In 1833 Bishop Flaget of Bardstown praised the Dominican women and men who nursed the cholera victims, including sisters, friars, and “virtuous lay women,” presumably tertiaries, at St. Rose Priory. The lay Dominicans at Somerset, Ohio included two named Fanny and Theresa Naughton who served St. Joseph Convent all their adult lives. The early records pertained only to individuals. No references to early chapters or meetings of tertiaries have been discovered. In 1853, after the foundations of the Order in Kentucky, Ohio, Tennessee, Wisconsin and California, the first Dominican women came from Europe to serve in the American church. These were four cloistered nuns from the Monastery of Holy Cross in Regensburg, Bavaria, led by Josepha Witzlhofer. Putting the needs of others before the practices of their traditional cloistered life, they answered the urgent call for teachers sent to Europe by German Catholic immigrants in the United States. They settled in Williamsburg, New York, an incipient area of Brooklyn, and tried valiantly to combine their monastic way of life with the strenuous work of conducting a school. In 1868 the nuns met another urgent need of the people by opening the first hospital conducted by American Dominicans. By 1900 the Brooklyn community and the many foundations which stemmed from it across the United States had become congregations of active Third Order sisters. Many years later, in 1947, the Brooklyn sisters moved their motherhouse to Amityville, N.Y.
Another Dominican community for the education of German immigrants began in Racine, Wisconsin in 1862. 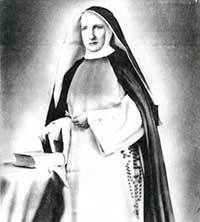 The foundress was Mary Benedicta Bauer, who, when prioress of Holy Cross Monastery in Bavaria, had sent the four nuns from Regensburg to Brooklyn in 1853. The Racine sisters, like their predecessors in Brooklyn, evolved from a contemplative monastic community to become an active congregation. Only six years after the coming of the nuns from Bavaria to the Brooklyn convent of Holy Cross, German Catholics in lower Manhattan requested sisters from Brooklyn to open a monastery and school at St. Nicholas Parish. The reply was favorable. The sisters soon welcomed young women to their novitiate on Second Street, and in 1869 became an autonomous monastery, with Mary Augustine Neuhierl as prioress. By 1883 this community had developed into a congregation with branch houses and moved their motherhouse up the Hudson to Newburgh, New York. In July, 1995 three Dominican Congregations, Fall River, Newburgh, and Ossining joined to become the Dominican Sisters of Hope. Dominican nuns from Ireland also came to help immigrants to the United States at mid-century. In response to a call from New Orleans, Mary John Flanagan and five other nuns from Dublin opened a parish school in that city of French and Spanish culture in 1860. Coming from a contemplative monastery, as did the nuns from Germany, they struggled in this new environment with the ambiguities of a cloistered life in active ministry until they became the Congregation of St. Mary’s of New Orleans. In 1873 seven sisters from the original Dominican community in Kentucky traveled to mid-Illinois to open a school and convent at Jacksonville. A year later, two of these sisters were requested to participate with President Ulysses Grant in an unusual event: the unveiling of a statue of Abraham Lincoln at his tomb in Springfield, the state capital. Grant asked them to represent all the religious women who had served during the Civil War in prisons and hospitals and on the battlefields; women whom President Lincoln had warmly praised, as Grant recalled. The sisters of Jacksonville returned to their less public Jacksonville ministry, but later moved their motherhouse to Springfield. As immigration increased and the move from farm to city accelerated, new needs were met by new and old Dominican foundations. The urban ministry of the friars was expanded with their move to New York City in 1867, followed by the transfer of their provincial center from Kentucky to that city. Added to the founding of new urban parishes were the numerous week-long missions undertaken by preaching teams of the Province of St. Joseph in various cities. Attention to evolving human needs moved Catherine Antoninus Thorpe in 1876 to found a new community in New York, with the guidance of the Dominican provincial John Rochford. These Dominican Sisters, who later moved to Sparkill, New York, were founded to offer two much-needed ministries: giving food and shelter to indigent women, and caring for dependent children. The numbers of orphans had multiplied rapidly after the Civil War, owing not only to its fatalities and recurring epidemics, but also to the many deaths of immigrants en route to the United States. Lucy Eaton Smith, a convert, was another who was challenged by new needs, especially among women. In 1880 she founded in Albany New York a Dominican congregation which would offer women the opportunity for spiritual retreats, related to the contemplative aspects of the sisters’ lives; and also to provide residences for working women in the cities. Under the patronage of St. Catherine de Ricci the sisters of this community continue this dual ministry, centered at the motherhouse now located at Elkins Park, Pennsylvania. Four congregations of American Dominican Sisters, all dedicated primarily to education, formed new branches in the 1880’s. 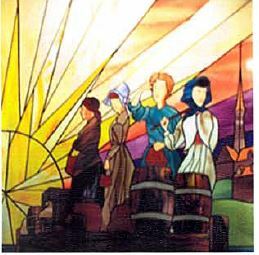 Sisters from Newburgh, New York established a community in Jersey City in 1881. These became a congregation which moved their motherhouse later to Caldwell, New Jersey. From Columbus, Ohio a group of sisters led by Mary Agnes Magevny traveled to distant Galveston, Texas in 1882 to make a foundation which later moved to Houston. The record for long-distance travel to new beginnings was made when sisters from Brooklyn, urged by Joseph Alemany, the Dominican Archbishop of San Francisco, responded to the educational needs of German immigrants in California. By 1888 these sisters became the Dominican congregation of Mission San Jose, under the leadership of Maria Pia Backes. In the same year, sisters from the Jersey City community, led by Thomasina Buhlmeier, made a new foundation on the west coast at Tacoma, Washington. During the final decade of the nineteenth century two more American branches of the “Ratisbon tree” rooted in Bavaria became new congregations. From Newburgh came the sisters who formed the independent congregation of Blauvelt, New York in 1891. Their ministry for orphans had begun years earlier when Mary Ann Sammon, foundress of the new branch, brought homeless children into the Manhattan cloister to be cared for by the nuns. The second new branch originated as a province of the Newburgh sisters in Michigan. In 1894 this province was separated from their motherhouse by the arbitrary action of their bishop to become a diocesan congregation, under the leadership of Aquinata Fiegler, the sisters’ former provincial. The initial ministry of Dominican Sisters among Franco-Americans began with a call from Canadian friars in New England. Mary Bertrand Sheridan and several Dominican sisters from Washington, D.C. responded to that call in 1892 by founding a community and school in Fall River, Massachusetts. In July, 1995 three Dominican Congregations, Fall River, Newburgh, and Ossining joined to become the Dominican Sisters of Hope. In 1896 a Dominican congregation unique in its single ministry was founded by Rose Hawthorne Lathrop, (a.k.a. Mother Mary Alphonsa Lathrop) the daughter of Nathaniel Hawthorne, out of her personal experience of the needs of the poor. Their compassionate ministry is found in their title: The Servants of Relief for Incurable Cancer. Their motherhouse is at Hawthorne, New York. The earliest foundation of women in the Order of Preachers was that of the contemplative nuns established as a part of the Preaching of Jesus Christ by St. Dominic at Prouille, France, Theirs was the fourth branch of the Order to be established permanently in the United States. The nuns who came from monasteries in Germany and Ireland at mid-century were cloistered contemplatives. Their active apostolate had compelled the nuns to live in ambiguity, dependent upon dispensations, until each foundation, encouraged by successive Masters of the Order, made the decision to become an active congregation of Dominican Sisters. In 1880 four nuns from Oullins in France, a monastery whose origins went back to Prouille, came to Newark, New Jersey to make the first permanent American foundation of cloistered nuns, the Monastery of St. Dominic. The founding prioress, Mary of Jesus, was an American. By 1889 members of the Newark foundation opened a second monastery in the Bronx, New York; and in 1906 another in Michigan at Farmington Hills. New Jersey was the site in 1891 of a second monastic foundation from Europe. Four nuns of the Perpetual Rosary, founded in Belgium, opened a monastery in Union City. By 1910 they had established five more monasteries in as many states: Milwaukee, Wisconsin in 1897; Catonsville, Maryland in 1899; Camden, New Jersey in 1900; Buffalo, New York in 1905; and in 1909, La Crosse, Wisconsin. The La Crosse monastery moved in 1984 to Washington, DC. Records of Dominican laity in the early nineteenth century are sparse, and limited to the reception or profession of individual women and men. In the second half of the century there are records of chapters of lay Dominicans who met regularly, studied and prayed, and introduced others to the spirituality and apostolic charity of the Order of Preachers. Chapters were encouraged by the Dominican friars in their parishes, and by Dominican sisters and nuns in their institutions or monasteries. Notice of such chapters was given in the Rosary Magazine from the time of its inception in the last quarter of the nineteenth century. Large and active chapters of men and women were found during that period in parishes in San Francisco, Portland, Oregon, St. Paul, Louisville, New York City, Lewiston, Maine, and Boston. Records of individual tertiaries are even less available than those of certain chapters, although both were zealous about introducing others to the spirituality and apostolic charity of the Order of Preachers. One of the deterrents to full Dominican life among the early friars on the frontier was the lack of traditional emphasis on study, one of the basic elements given to the Order by St. Dominic That emphasis was sacrificed for many decades to the founding of the Church in parishes and dioceses, whether in Ohio, Kentucky, Tennessee, New York, or other places. Some friars were sent to Europe to study; and Regents of Studies were sometimes appointed for brief periods. But not until the turn of the century was a proper House of Studies set up in 1905. Adjoining the new and struggling Catholic University of America. Degrees were conferred on the first graduates in 1906. Dominican Sisters in the early 1900’s were attending colleges and universities in increasing numbers at home and abroad, and beginning to establish colleges for young women. The Sinsinawa congregation opened St. Clara College (later Rosary College in River Forest, Illinois) which granted its first bachelor’s degrees in 1904. The San Rafael Sisters opened their college in and conferred the first degrees in 1917. The first decade of the century was marked by a foundation in Kansas, far from the concentration of Dominican men and women on the east and west coasts. It was from Brooklyn, however, that the former prioress of the Dominican community of Holy Cross, Antonina Fischer, founded in 1902 the congregation of Dominican Sisters of Great Bend who would offer ministry in education and health care. In 1910 Mary Walsh obtained the official recognition of the Church for the community of women she had gathered in New York in 1879 to offer health care to the poor in their homes. These Dominican Sisters of the Sick Poor later moved their central house to Ossining on the Hudson. In July, 1995 three Dominican Congregations, Fall River, Newburgh, and Ossining joined to become the Dominican Sisters of Hope. The friars who began the California foundation in 1850 were obliged by frontier limitations on personnel and resources to set aside their status as a full province in 1864 and assume that of a congregation or vicariate. But by 1912 the Province of Holy Name was fully restored, with their central house in Oakland and ministries along the coast from Mexico to Alaska. Monasteries of nuns of the Order multiplied in the decade between 1915 and 1925, with eight new foundations established from coast to coast. Nuns from Newark opened a monastery in Cincinnati in 1915 and another in Los Angeles in 1924. From the monastery of Farmington Hills, Michigan nuns formed a new community in Albany, New York in 1915; and in New Jersey a group from Union City opened a house in Summit in 1919. From the Bronx monastery a foundation was made in Menlo Park, California in 1921. Nuns from Catonsville, Maryland opened a monastery in West Springfield, Massachusetts in 1922 and another in Lancaster, Pennsylvania in 1925. In the same year, the monastery at Camden opened a daughter house at Syracuse, New York. Between two world wars five colleges were founded. Providence College conducted by the Province of St. Joseph, granted its first degree in 1923. In succeeding years Siena Heights College, founded by the Adrian Dominican Sisters, granted degrees in 1924, Ohio Dominican College at Columbus in 1927, and Albertus Magnus in New Haven, both conducted by the Dominicans of St. Mary of the Springs, gave bachelor’s degrees in the following year. At Berkeley, California the Dominican School of Theology and Philosophy, conducted by the Holy Name Province, gave degrees in 1936. The pioneer congregation among American Dominican Sisters, St. Catharine’s, Kentucky, opened a junior college of the same name and first granted associate degrees in 1931. Two widely separated provinces of the Newburgh congregation became autonomous congregations in 1923. The first, which was founded at Aberdeen, Washington in 1890, now became the Dominican congregation of Everett, and later Edmonds, Washington. The second group had become a Michigan province of the Newburgh congregation in 1892, centered at Adrian. In 1923 they became autonomous and their provincial, Camilla Madden, became the first prioress of the new Adrian congregation. At the end of the 1920’s the Caldwell sisters, by arrangement of the bishops of Cleveland and were given the choice of joining a new branch of the Order at Akron, Ohio or remaining in their New Jersey community. This second Dominican congregation in Ohio, which came into being a century after the first one at Somerset, was established in 1929. On the eve of World War II the friars of St. Joseph Province had grown in membership and expanded geographically from the Atlantic coast to the Gulf of Mexico and the Rocky Mountains. The Master of the Order, Martin Gillet, proposed the formation of a new province of friars which, with headquarters in Chicago, was established in 1939, taking the title of St. Albert the Great. Friars of the three American provinces served as chaplains for the armed forces in World War II. During and after the war they served increasing numbers of Catholics who moved to the cities and required new or expanded parishes. American provinces of the friars took part in the post-war period in promoting the study of theology among the laity by means of Thomist Associations, regional study groups, and courses in theology in colleges for women and men throughout the country. In the decade of the 1940’s four monasteries of nuns were formed from existing foundations: Elmira, NY from Buffalo; Lufkin, Texas from Farmington Hills, MI; and North Guilford, Connecticut from Summit, New Jersey. The fourth foundation, from Catonsville, Maryland, brought an interracial, inter-cultural monastery to Marbury, Alabama. The same decade of the 1940’s was marked by the initial conferral of bachelor’s degrees in five Dominican institutions of higher education; Aquinas Institute of Theology, sponsored by the Province of St. Albert the Great, in 1941; and in 1942 three institutions: Aquinas College, founded by the Grand Rapids Dominicans; Barry College, founded by the Adrian Sisters, and Edgewood College founded by the Sinsinawa Dominicans. The fifth institution granting first degrees that year was Caldwell College, sponsored by the Caldwell Sisters. In 1959 degrees were granted by the Dominican College of Blauvelt, founded by the Blauvelt Sisters. In 1961 the Nashville Dominicans granted associate degrees earned at Aquinas Junior College. During the 1950’s two communities of Dominican Sisters became independent of their European motherhouses. One whose members came originally from Czechoslovakia to Pennsylvania in 1923 became the congregation of Oxford, Michigan, in 1950, under the leadership of Mary Joseph Gazda. The second group, from an Irish community in Lisbon, Portugal, became in 1952 the Dominican congregation of Kenosha, Wisconsin, with Mary Vincent Mullins as their major superior. In the same decade two new communities were established for ministries other than education or health care. The Marian Dominican Catechists of Boyce, Louisiana were founded in 1954 by Bishop Charles Greco to serve in the diocese of Alexandria, Louisiana. Another Louisiana foundation, the Eucharistic Missionaries, had been established for catechetics and related ministries in 1927 by Catherine Bostick and Margaret Grouchy. Thirty years later they were affiliated to the Order of Preachers. Dominican Sisters who had come from Speyer, Germany in 1925 to serve in the northwestern states became the American congregation of Spokane, Washington in 1985. The Spokane Dominicans merged with the Sinsinawa Dominicans on February 26, 1995. The Dominican Laity in the United States, through the leadership of their members, have developed their contemplative-apostolic role in the Order of Preachers within each province of the friars. Chapters are now established in 33 states, and their members collaborate with Canadian laity in the CANAM organization. In 1985 the North American groups welcomed lay Dominicans from all continents to Montreal in 1985 to celebrate the 700th anniversary of the founding of the Third Order in 1285. With a thrust toward the future they emphasized the elements of Dominican spirituality which many lay Catholics seek to live. A broad vision of the laity was proposed at the first International Conference of the Dominican Family in Bologna in 1983. 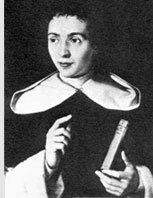 There, led by the Master of the Order, Vincent de Couesnongle, the members enlarged the concept of “lay Dominican” to include all men and women who “look to Dominic and the Order for inspiration.” In the United States these include women and men invited to be associates of many congregations of Dominican Sisters. Only in 1908 did the Church in the United States emerge from its former mission status. Soon afterward American Dominicans began to send members on mission to other countries. The first were the sisters from Mission San Jose, who in 1910 opened a school and then a novitiate in Mexico. In 1912 the Maryknoll Sisters of St. Dominic were founded by Mary Joseph Rogers at Hawthorne, New York to be the first American Dominican congregation of sisters founded specifically to serve in the foreign missions. They were given official approval of the Church in 1920. The first American friars to staff a foreign mission were those of St. Joseph Province, who in 1924 sent men to Kienning-Fu in south China and later invited the Sisters of St. Mary of the Springs, Ohio, to join them. The Dominican nuns of Los Angeles opened in 1959 the first monastery of Americans at Karachi in Pakistan, following the mission initiative of the friars of St. Joseph Province. As all branches of the Order heard the call of peoples outside the United States, a special summons to the lands of Latin America was sounded by Pope Pius XII in the 1850’s. Many sisters and friars responded; and many places continue to be staffed by Dominican congregations and provinces. Additionally, Maryknoll Sisters are the only Dominicans in these places: Chile, Ecuador, Hong Kong, Indonesia, Japan, Korea, Nepal, New Guinea, Nicaragua, Samoa, Sudan, Taiwan, and Tanzania. From the time that friars invited women to participate in their Dominican mission in Kentucky, collaboration among branches of the order has remained an important factor, sometimes disregarded in American Dominican history. Project OPUS A History of the Order of Preachers in the United States. Researchers from the four branches of the Order are engaged together in this undertaking: the first integrated history of the American Dominicans. U.S. Dominican Collaboration. A committee to promote regional conferences and action in the Dominican Family. Las Casas – Dominicans in Ministry with Native Americans, Inc. Initiatives for collaborative programs of initial formation began in 1976 with nationwide internovitiate conferences. These have led to the launching of a common novitiate for Dominican women, and a combined novitiate and Studium for friars of the St. Albert and St. Martin de Porres provinces. The monasteries of Dominican contemplative women initiated in 1983 the Conference of the Nuns of the Order of Preachers of the United States; which organizes monastic study weeks and publishes Dominican Monastic Search to promote contemplative life. Out of their traditional association with universities in Europe and the Americas, Dominicans have served as administrators and professors in higher education throughout the United States. They have founded more than eighteen colleges and universities, including the unique graduate school for men and women, Aquinas Institute of Theology. Recent movement toward collaboration in the United States has resulted in a Consortium. Reaching beyond national boundaries, friars and sisters who are Dominican Promoters of Justice and Peace for North America join the promoters of the whole Order to educate, advocate and coordinate the campaign for world peace through justice. World-wide collaboration among branches of the Order was stimulated in the mid-twentieth century as General Chapters gave new emphasis to an old reality: the Dominican Family. The revision of the Constitutions of the friars in 1968 gave renewed emphasis to the Dominican family, declaring that all friars, sisters, nuns and laity “share the same common vocation and each, in its own special way, serves the mission of the Order in the world.” Succeeding chapters continued this emphasis, leading to the first international Symposium of the Dominican Family at Bologna in 1983, led by Vincent de Couesnongle O.P., Master of the Order. At this historic event, in which American Dominicans fully participated, the delegates produced the definitive Bologna Document on the Dominican Family as a basis for continuing world-wide collaboration in the Order of Preachers. As the Dominican Leadership Conference (DLC) continued to develop and grow, the changing needs of the two groups (friars and sisters) as well as the different kinds of issues facing them were apparent. Moreover, the friars, the nuns, and the laity had their own particular conferences, which the sisters did not have. So, following a two year process of study and consultation, a vote of the members of the DLC in 2009, and a vote of the Federation in 2010, the DLC held its last meeting in Maryknoll, NY, in October 2010, and a new organization was born: The Dominican Sisters Conference (DSC). To learn more about the Dominican Sisters Conference, please click here. Sr. Mary Nona McGreal, O.P., of Project O.P.U.S.